IAB as a platform for education and communication endeavours to recognise the ability, knowledge and engagement of all IAB members. Members like Physicians and Health professionals can on request acquire certificates especially concipated for this purpose, which can be utilized for promotion purposes et al. after attending five of our meetings. Furthermore Certificates of Attendance can be obtained for all courses of IAB Academy. 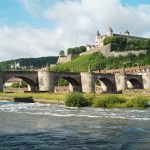 The obligatory continuing process of education for physicians and health professionals in Germany serves to sustain and increase the stability and improvement of patient treatment and to support the quality of professional practice. This training covers specific as well as interdisciplinary knowledge, practice of clinical skills as well as the improvement of communicative and social compentences. Each IAB Meeting and IAB Academy Course is CME accredited by the respective medical council. 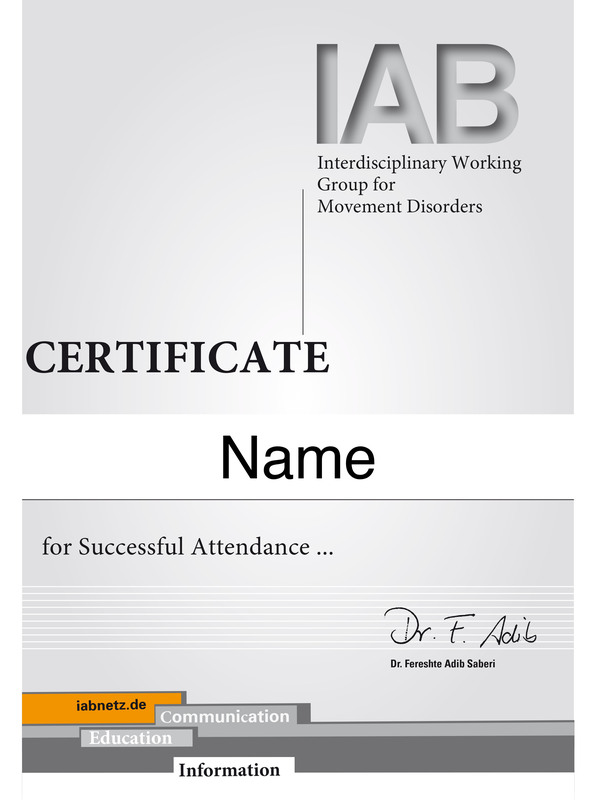 These certificates can also be used by health professional therapists for their groups. IAB training sessions also offer certificates especially for nursing professions (RbP). IAB Academy courses are designed on basic courses, advanced courses, special courses for professionals & trainees, but also for patients & medical non professionals. 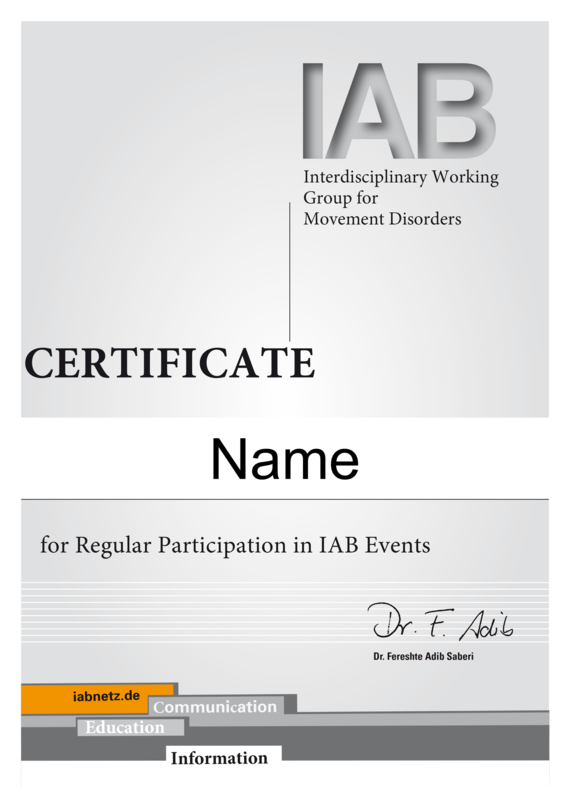 This postgraduate qualification with the patented and certificated training program as IAB Specialist in Movement Disorders (FB-IAB/SMD-IAB) is divided into three different levels: basic, superior and instructor level. It is possible to take part as professional therapist or trainee.